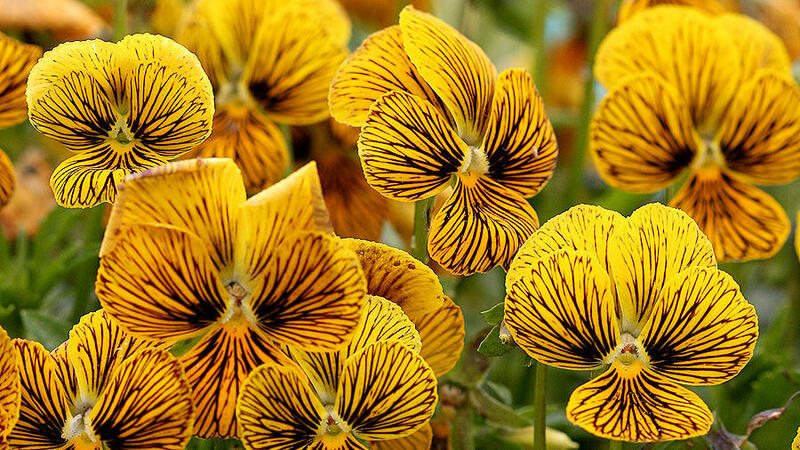 These artsy, low-growing pansies are not only edible, but also delightfully fragrant. 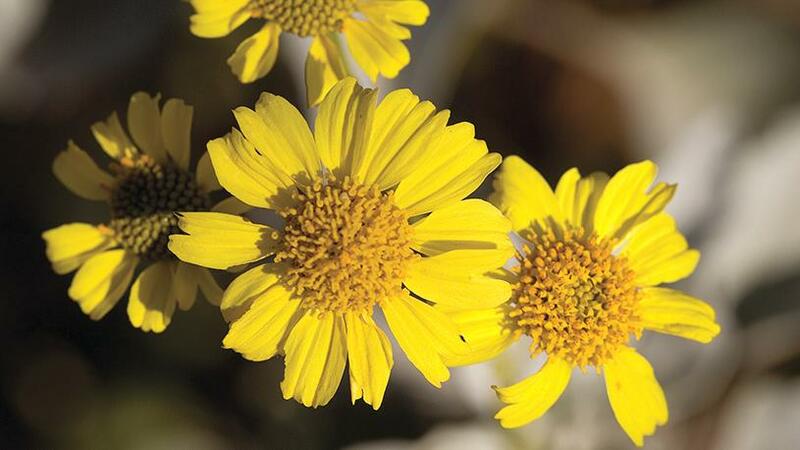 These softly-toned yellow blooms grow well under oak trees and can easily thrive with minimal summer water once established. 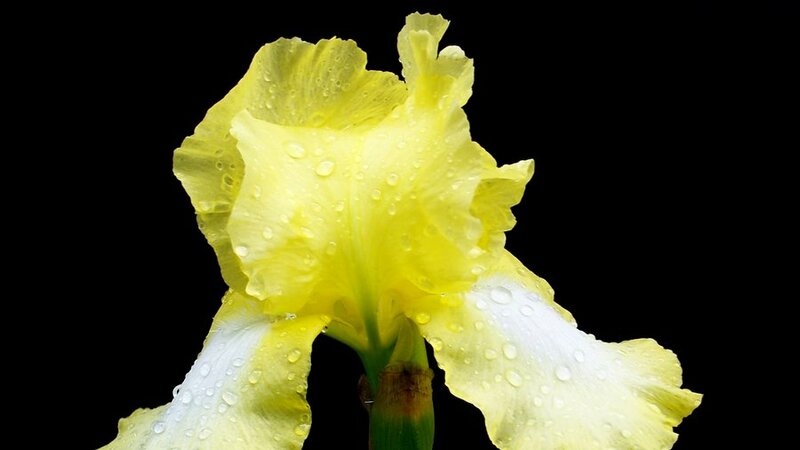 Loved for their light yellow flowers and reliable re-blooming, this dwarf bearded iris needs fertilizing every spring and summer. Be sure to note these plants are harmful if eaten. 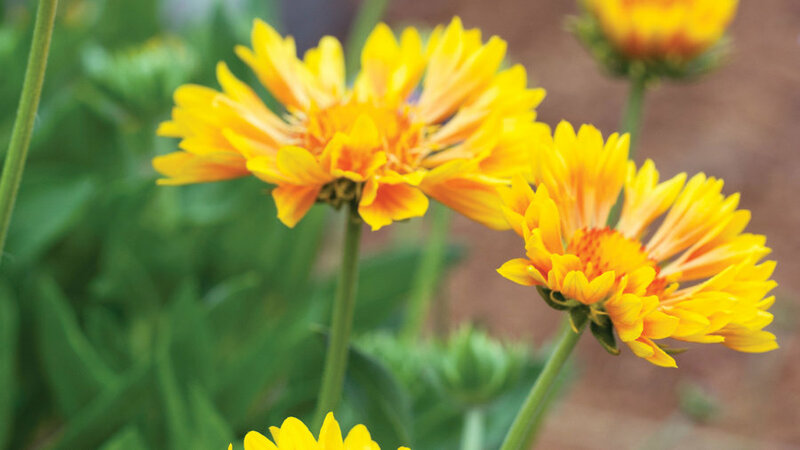 Loved for its heavy blooming from spring to fall, this variety is not only easy on the eyes, but also easy to incorporate alongside other perennials like lavender. 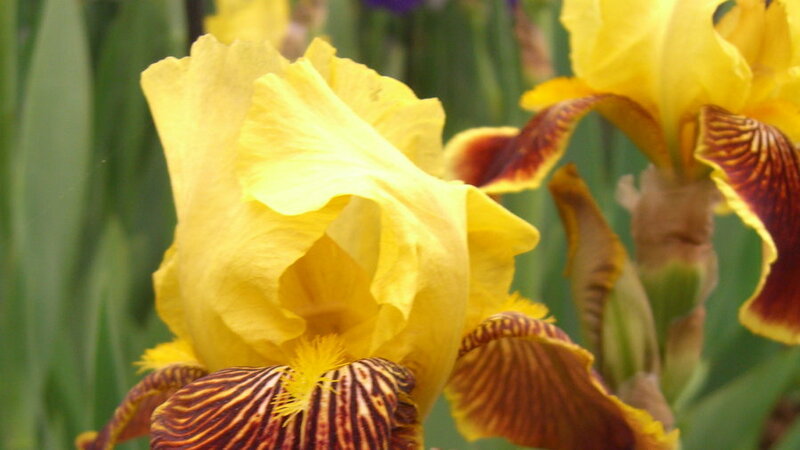 A widely grown variety of tall, bearded irises, this multi-colored flower looks great in the garden and in a vase at home. 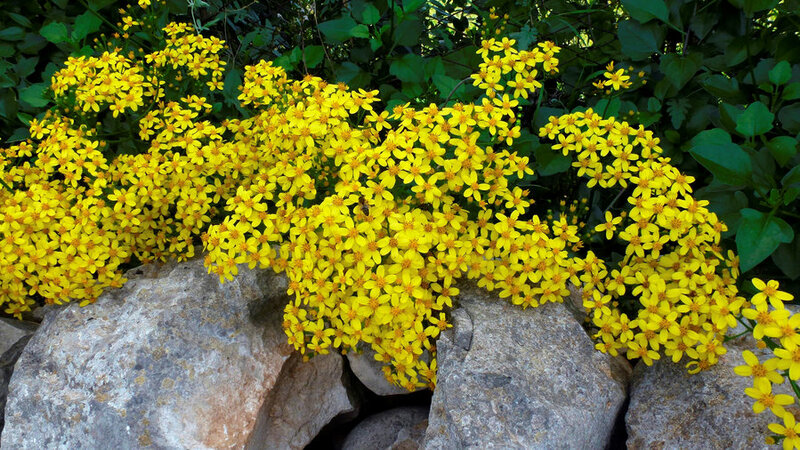 These Mediterranean natives are low-water, drought-tolerant groundcovers and grow well in most soils, especially in seaside conditions. 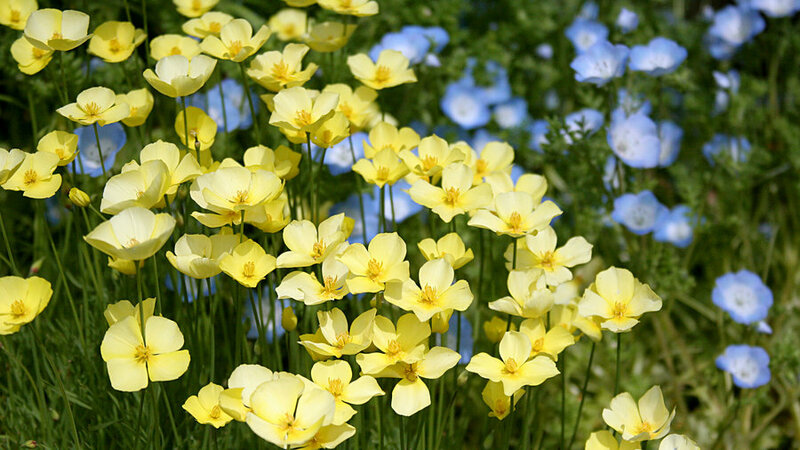 Scatter clumps of these California and Oregon natives throughout your yard for a lush, fragrant meadow-like scene. 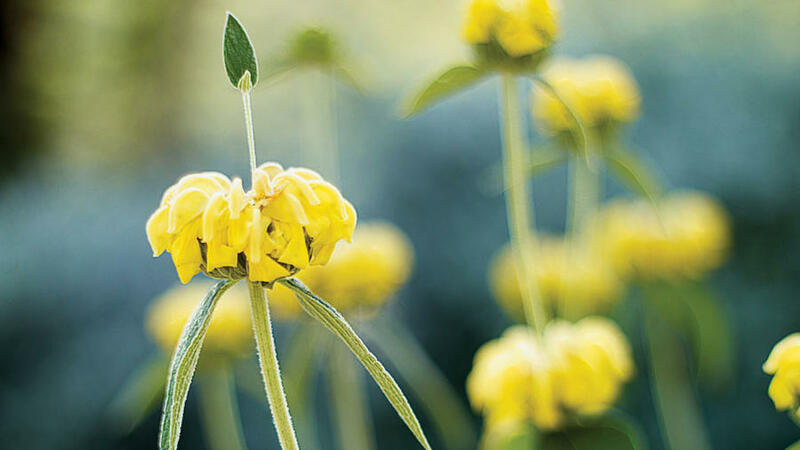 The tall stems of these Mediterranean natives are set with widely-spaced, hooded yellow flowers. 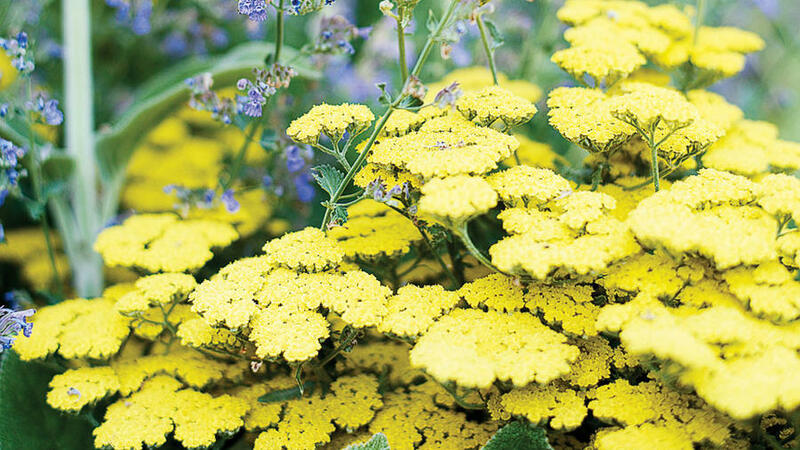 One of the most carefree and generous bloomers, yarrow has tight clusters of deep yellow flowers on 2-foot tall plants. 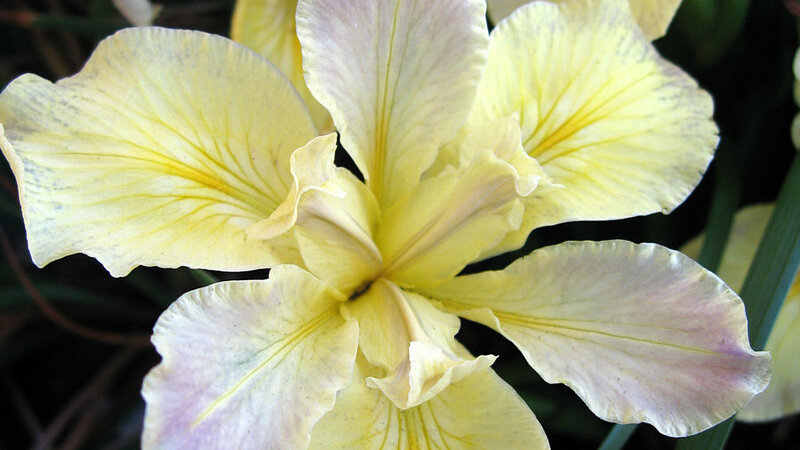 Deep golden petals radiate from chocolate centers on 2- to 4-inch-wide flowers. 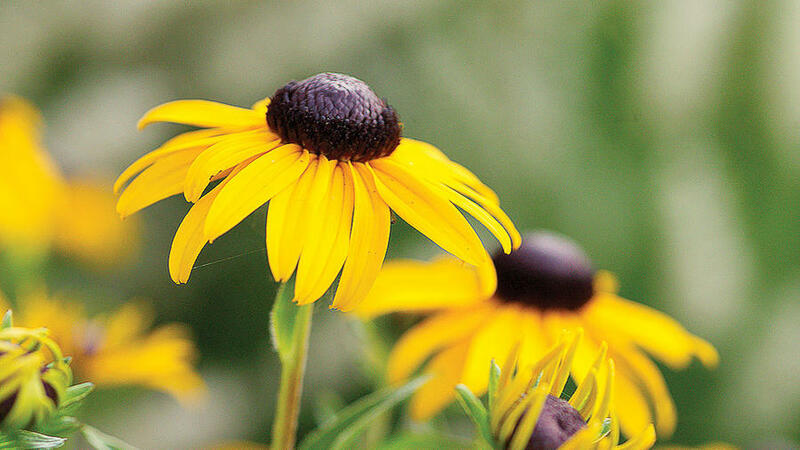 Cheerful daisy-like blooms in various warm shades of yellow, bronze, and red. 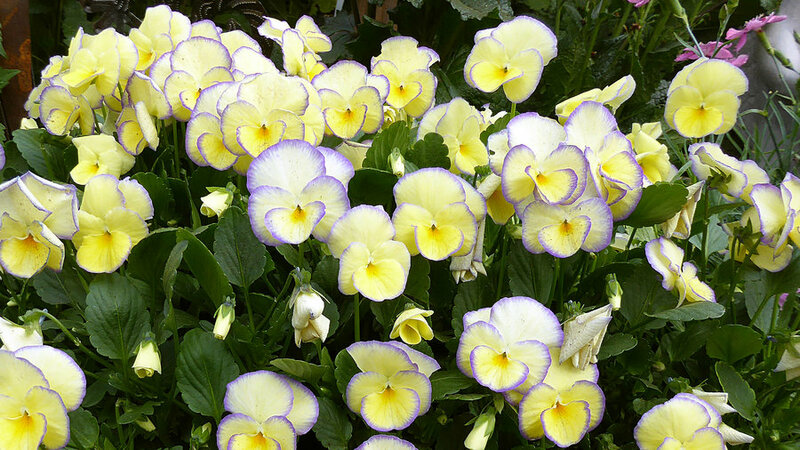 Many varieties are available, with single or double flowers. 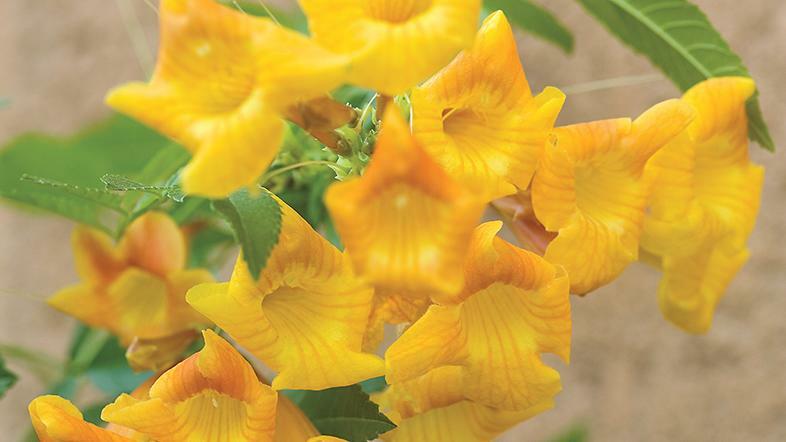 This heat-tolerant shrub sports trumpet-shaped flowers in a variety of orange-yellow-red hues and leaves that divide feather-wise into many leaflets. The slender, willowy stems of this jasmine stand out beautifully in a winter landscape. 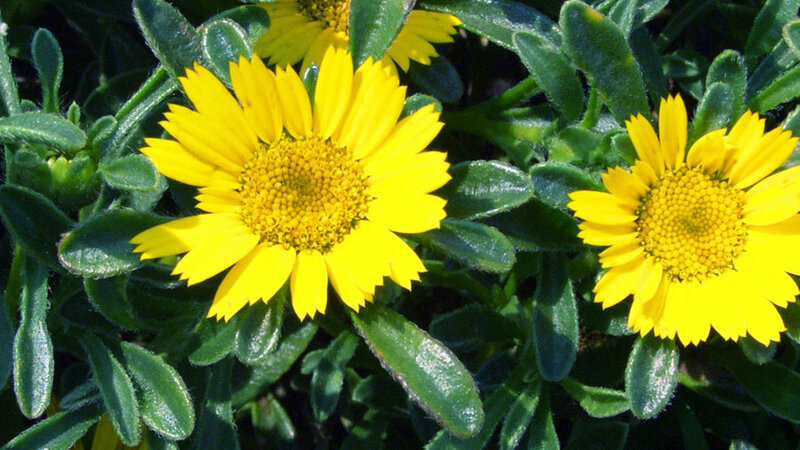 This shrub bears a profusion of bright yellow daisies, and needs only minimal watering. 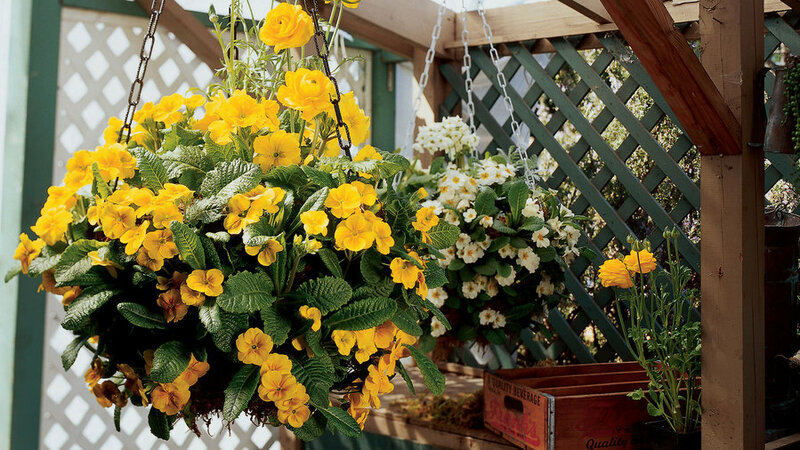 Most primroses bloom in spring or summer, but the English primrose is also an excellent choice for winter color. The come in a number of colors, including yellow.